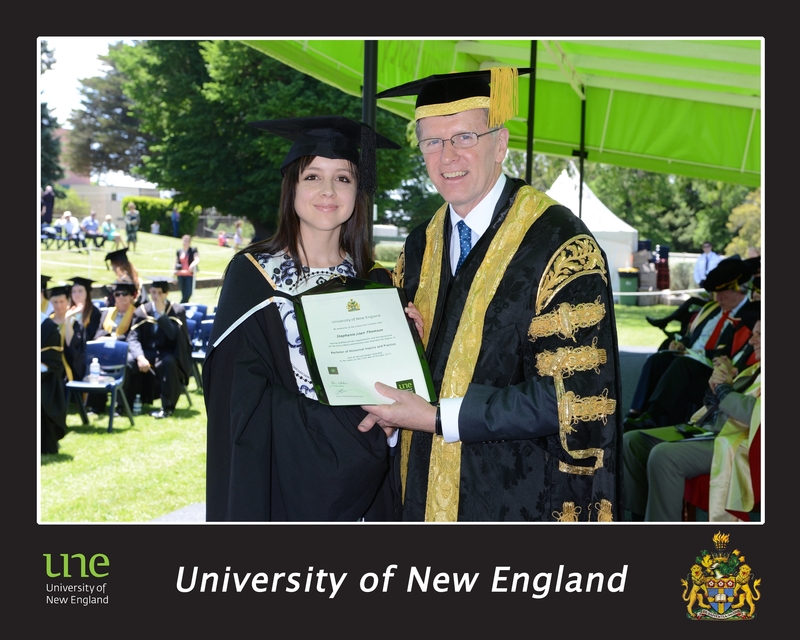 Saturday 28 March will be an exceptionally rewarding day for UNE graduand, Stephanie Shing-Kelly signalling the culmination of four years of hard work and persistence. Stephanie will graduate with a Bachelor of Arts with Honours (History) with First Class Honours. At the graduation ceremony she will be awarded with a University Medal and the Edgar H Booth Memorial Prize and Medal. She will also present the vote of thanks on behalf of the graduates at the graduation ceremony for Arts, Humanities, Behavioural, Cognitive and Social Science. The University awards a University Medal to selected Bachelor with Honours graduates in recognition of outstanding academic achievement and excellence. The Edgar H Booth Memorial Prize and Medal is awarded to the honours graduate who has the most distinguished academic record during enrolment at the University. Armidale local and Duval High School Dux, Stephanie says it’s absolutely wonderful to be awarded the Edgar H Booth prize. “I am truly honoured to be receiving such a prestigious award, and immensely pleased that all of the hard work over the past four years has paid off. “I wanted to attend UNE primarily because the university was offering a brand new degree, the Bachelor of Historical Inquiry and Practice, which seemed perfectly suited to my interests,” says Stephanie. Stephanie now works as a UNE Future Student Advisor and assists with teaching Medieval History and Latin in the School of Humanities. Stephanie hopes to commence a PhD in History in 2016.